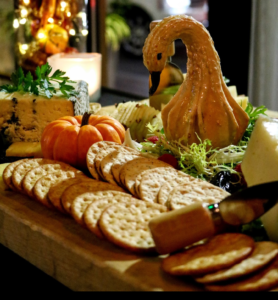 Society on High features three unique options for special events and private dining. Our packages can be customized to suit any professional or personal function. 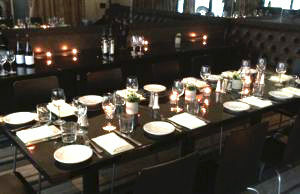 Our Private Dining Room comfortably seats up to 25 guests and accommodates 30 for cocktail receptions. The Private Dining Room is ideal for intimate business functions and social occasions, offering a multimedia platform that allows for online conferencing, a built in video display for presentations, and a separate sound system from the main dining and bar area. Our Main Dining Room is a semi-private space for larger groups that can hold up to 45 guests for seated dining, or up to 55 guests for cocktail reception. The open feel of the Main Dining Room is ideal for groups who desire a designated space for celebrations, but don’t need to be completely separated from other guests in the restaurant. 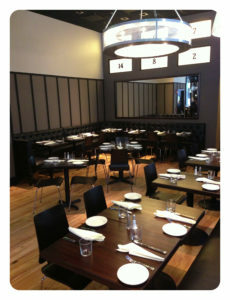 For parties of 60 to 100 guests, buyout of the restaurant is available. 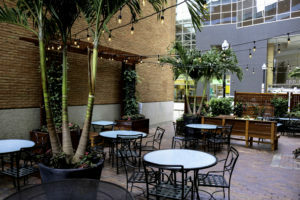 In addition, patio reservation are available, weather permitting, with rain plan space reserved inside the restaurant.